This session was unique because we photographed on a day with a high of 110 degrees, and let me tell you - both me and mama did not want to be out in that heat! So we decided a sunrise shoot was the best way to go! 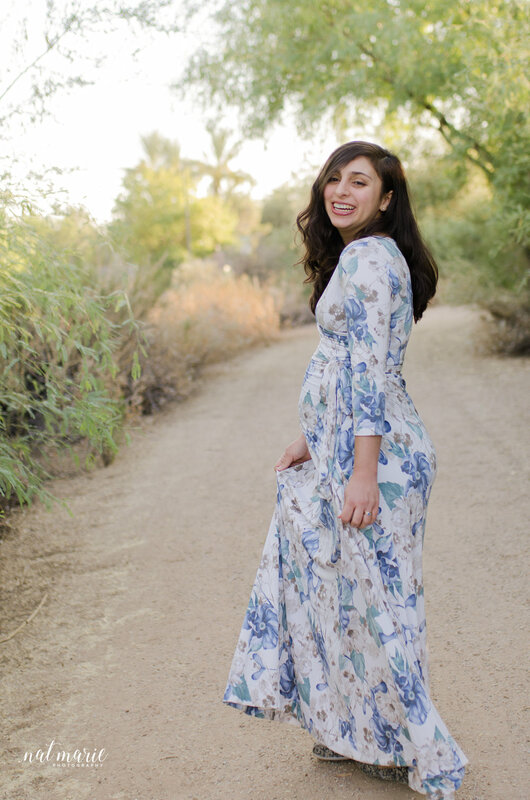 So at around 5:30 AM we met up in a preserve in Gilbert and decided to have some photographing this beautiful mama's bump! And one of my favorite things about this shoot was how quickly mama got comfortable in front of the camera. She rocked it - and that little bump was just the cutest!